June | 2010 | Desert Whale Jojoba Co.
With public uncertainty about the viability of green technology and alternative fuels, Desert Whale Jojoba Company thought it would be worth remembering a small success story. Just 24 years ago Sperm Whales were hunted legally for their spermaceti oil which was used in lubricants, personal care products, and a wide variety of additional applications. 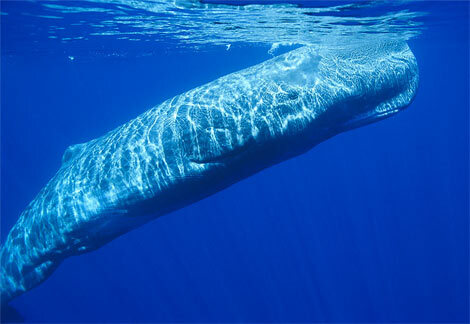 It is estimated that 770,000 sperm whales were slaughtered between 1946 and 1980. It was not until viable alternatives were found that Sperm Whales were protected legally. In 1971, a desert shrub called jojoba was discovered to function as a viable substitute for spermaceti oil. Shortly thereafter, three avid members of the Save the Whales campaign began to promote jojoba in order to protect sperm whales and in 1978 Desert Whale Jojoba was formed. 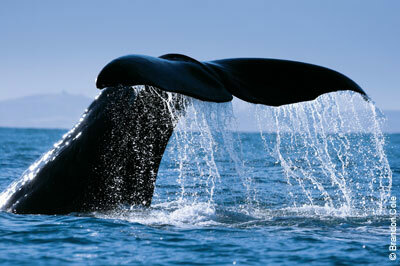 In 1986 Sperm Whales were finally protected legally and today are rarely hunted. However, Desert Whale still believes it is still important to educate their industry about products such as jojoba, not only about their cosmetic benefits but the positive effect they may have on the environment or an entire species. Desert Whale is confident that businesses and organizations will succeed if they continue to educate their customers about viable, natural alternatives. Once the battle of public opinion is won and people start believing in and fighting for alternatives, triumph will follow. After all, who would have thought that a shrub in the Sonoran Desert could replace the oil found in the head of a sperm whale? Did you know Dolphins like to check themselves out in the mirror?!? The New York Times recently published this article about the recent push to overturn the ban on commercial whaling. Some say by making whaling legal again it will actually reduce the number of whales that are slaughtered each year. But many activists and scientists are arguing that commercial whaling should be 100% banned. Shea Butter is the fat obtained from the kernel of the Shea-Karite (Butyrospermum Parkii) tree, which grows in the semi-arid, sub-Saharan regions of Africa. The extracted fat is a smooth, creamy white butter that can be used in a variety of applications, from chocolate manufacturing to skin care products. 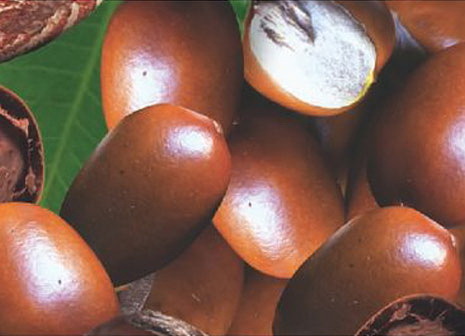 Shea Butter contains a high level of unsaponifiables made up of a group of phytosterol esters called triterpene alcohols. Triterpene alcohols have been shown to contribute to anti-inflammatory affects and stimulate fibroblast regeneration. Both properties are important mechanisms for healing damaged skin and delaying the effects of aging skin. Shea is extremely moisturizing and gentle to the skin. 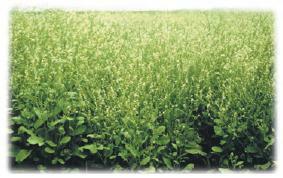 It is used extensively in creams, lotions, baby care products, sunscreens, slimming, and massage products. Shea Butter contains vitamin A, E, and F to nourish the skin, prevent premature wrinkles and protect the skin from environmental damage. In hair care products, shea butter provides moisture to dry or damaged hair. it is particularly beneficial in the restoration of luster to processed or heat-treated hair, Shea Butter can also be used to care for dry, itchy scalp. 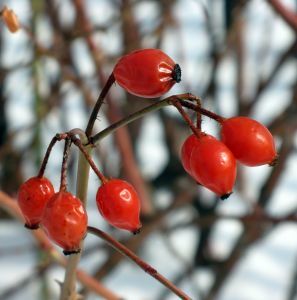 Rose Hip Oil grows wild in the southern mountains of Chile and Argentina and is produced from the seeds of the fruit. Rose Hip Oil is excellent for cosmetic usage because it is loaded with essential fatty acids (oliec, linoleic and palmitic) and other nutritional substances such as transretinoic acid, tannins, beta-carotene, and vitamin C.
As a result of its rich, nutritional content, Rose Hip Oil is excellent for promoting skin elasticity and restoring skin moisture. It is known for its regenerative, firming, conditioning, and anti-aging effects on the skin. For more information on Rose Hip Oil, pricing, or a sample please contact marketing@desertwhale.com. Raspberry oil has a rich texture and skin feel and provides great emollience. It is made up of around 45 – 50% Omega 6 and 25 – 35% Omega 3 fatty acids, an ideal combination for skin nutrition and protection. Studies show Raspberry oil improves skin softness and smoothness while reducing epidermal water loss. Grape Seed oil is extracted from the seeds of grapes, typically wine grapes. Since grape seeds are usually discarded after the wine making process, the extraction of grapeseed oil helps eliminate waste. The oil contains palmitic, palmitoleic, stearic, oleic, linoleic, as well as alpha linolenic, icosanoic, icosenoic and docosanoic fatty acids. Linoleic acid is very important for the health of the skin because it inhibits the loss of moisture and keeps skin soft and flexible. Grape seeds contain several antioxidants including polyphenols and proanthocyanidins. The antioxidant effect of this oil is most useful when fighting the ravages of aging, as the oxidative stress caused by free radicals, which are neutralized by antioxidants, is one of the major factors that cause aging. 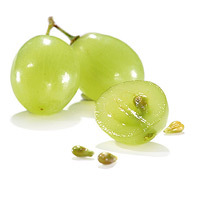 Apart from its great skin moisturizing properties, Grape Seed Oil is known to have regenerative and restructuring qualities, which make it a popular ingredient in cosmetic manufacturing. Crambe Abyssinica™ is native to the Mediterranean region and eastern Africa, particularly in the area originally called Abyssinia which is now modern day Ethiopia. This plant is now a successful commercial crop grown in the areas such as the UK and the Northeastern United States, with applications in all types of lubricants. Crambe Abyssinica™ is a non-greasy oil; replacing essential skin lipids with ingredients such as Crambe Abyssinica has been known to improve skin tone and texture. Crambe is also referred to as Abyssinian mustard, Abyssinian kale, colewart, or datran.